This topic contains 19 replies, has 6 voices, and was last updated by Edmo45 7 months ago. 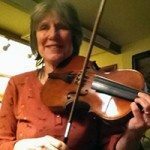 In our Fiddle camp, one of the Instructors had a workshop on using a looping pedal. It’s similar to what you can do with multi-tracking on a computer, but it’s instantaneous…you don’t have to stop and mess with a computer. It is exactly like jamming, therefore excellent live jamming practice, like playing with others where you have to keep in the rhythm/timing, improvising, etc. etc. It is ideal for playing duets with yourself, and much, much faster, for practice scenarios than using a computer. For improvising it is truly the cat’s meow. So in short, if you have to play mostly on your own, & you don’t anyone to work with, these things were made for you, and will enable you to acquire skills to jam and perform with others. But to get the thread started, here is a video off youtube to demonstrate. I recommend skipping past the explanation of how to work it and go right to the fiddle demo. The fiddle demo starts at 10:30. And even if you could care less about loopers, this fiddling is worth your time, I kid you not. She starts with Silver & Gold Two Step. I have been interested to get a loop station for a very long time now but have not yet got around to buy one. I would like one that also can produce a drum rythm with me adding the guitar to produce a backing track like the one John is using in the video “Ashokan Farewell Harmonies with Boss RC-20 Loop Station”. But I have not seen so many loop stations that can produce drum rythms. How is it the RC-3? Hi Hakan…sounds like you got the bug! Well, the RC-3 does not automatically add drums, like some others do, but it can be done manually using midi or mike or such. However, if that is just for a finished performance track you might be better off just using a multi track on a computer. You can use the RC-3 in a series of other pedals as well, and if there is a dedicated drums pedal, it could be connected in series. But also, I read that the automatic drums effect can be confused by your style of playing and require you to play different than you may want for it to get the tempo you want. For me the pedal is mostly a practice aid, and when I want to make a finished performance piece I’ll do that on the computer. Although I can see I’ll probably use both sometimes to do a video. I definitely want to stay below the threshold of where the technology interferes with the simplicity and enjoyment of making music. If things get too complicated and it becomes frustrating you are no longer having fun. But the simple looping pedal can be mastered without a lot of work, if you can get the equipment, and really make personal jamming wonderful, on your own, as can be seen by jumping ahead to 10:30 minutes in this video, which is a real treat & great motivator. This is good stuff….in fact it just may be a little too good for some, depending on your school of taste..
Silver & Gold is not as hard to play as it sounds…it is pretty easy…but it does require spot on intonation. That gal sure does play well! I’ve heard John and others talk about these things but I’m very fuzzy on exactly what they do. I mean, if you got a gig and wanted to play all the instruments…wouldn’t you basically have to build the tracks in front of your audience? I think this is what some lady was using on a link on here once a while back where she was just playing the daylights outta Cluck Ol Hen…I’m just not sure what all you can do with these things. I’d like to learn more about how they can be used…if I ever got gigs again it would be fun if I could just not need to find somebody else to play with…but I’m not sure these are for that kinda thing, or are they? I’d like to look into this more. Still feel confused about exactly how they work. For some reason, I can’t seem to get it. Let me know how you like yours and what you do with it…or… make a video…lol. Videos speak louder than words. There’s been a lot of talk about those loop things here, but I can’t seem to understand how it’s different, exactly. Hope you enjoy yours. Well, the basic function is very, very simple…(it’s why I like it). The pedal has a little computer in it that records a track when you hit the pedal…stop & start…then it loops the track back, over & over and you play anything you want, or improvise on top of the track with the option to record what you’re doing on multiple tracks or just play on top of that without recording. So in the first example Katy hits the pedal & records Silver & Gold on a track, then she hits the pedal to stop recording and while it loops she plays harmony. Same thing with Skye Boat. Then in the last example she really has fun by just recording some arpeggios (if I remember right) & then records several tracks of improvising on top of each other. She is using her knee to hit the pedal to tell it where to end the loop, or whether to record or not, or to erase a loop if you mess it up and don’t want it recorded on a track. Great input Ed. All the technical stuff can’t replace playing skill. And that should be our priority. One of the fellows at our camp had a pedal board with 4 or 5 pedals that he simply lost interest in and he sold it to the instructor, who wanted it real bad. I speculated that he ran into the same issues you expressed. Ed, the path to achieving what you want is well developed and proven. We all are individuals that develop in our unique manners, but achieving the quality you speak of involves a discipline and when utilized produces wonderful results. The truth is that there are disciplines, exercises, patterns, etc. that when faithfully practiced properly, produce results that seem impossible. It takes motivation to do it because of the time we have to sacrifice means giving up something else to do it. But when you’re happy listening to yourself, this is one electronic device that opens up the door to learning things you simply can’t learn to do by yourself. I’m wondering if this would be harder, easier, or similar to the technical “skill” (which I have very little of) and understanding that the Presonus recording studio takes. Well, about all you have to do is step on the pedal to start & stop it…that’s about it for basic looping practice. You can save your tracks and load them to your computer, or if you video your gig you don’t need to do that to post it. There’s certainly folks a lot more qualified than me to give advice on this…hopefully they will chip in….the video I posted is a good demo…music starts at 10:30. Rodger, I can’t wait to hear what you do with it! Here is the video from the forum link that Hakan posted. Thanks Hakan! Huh, I’ve got an RC-20XL I use with my guitar and this never would have occurred to me. Thanks for the tip! It is great for jamming with yourself. Hope you have lots of fun with that! This reply was modified 7 months ago by Edmo45. 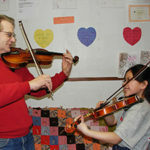 Ed, your fiddling has really improved! I can tell you are putting the time in! Go for it, Ed. 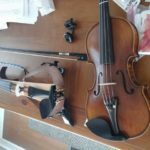 I don’t have a loop machine, but on my recording machine, one thing i noticed is that it’s really hard to play in tune with yourself on the fiddle. Tricky…at least for me. But if you do get it to match up kinda nice, it sure is a great experience to twin fiddle. For people who have somebody else for that, it must be great fun…for me, it’s fun on the machine and kinda tricky, but I’m sure a good exercise. I’m sure it helps tighten up our intonation…plus, fun and sounds great too. I agree with John, your fiddling is really going places…sounding good. Twin fiddling would be awesome!